2012 RAM 2500 ST Crew Cab 4WD Long Bed, Cummins 6.7L L6 Turbo Diesel Engine, 6-Speed Shiftable Automatic Transmission, Cloth Seats, Black Vinyl Floor Covering, AC, Cruise Control, Child Seat Anchors, Power Door Locks and Windows, Power/Heated Trailer Tow Mirrors, Radio 130 with AM/FM, CD, SiriusXM Satellite Radio and AUX Port, Tip Start, Remote Keyless Entry, Tilt Steering Wheel, Tinted Windows, Power Steering, Power 4-Wheel Disc Anti-Lock Brakes, Integrated Trailer Brake Controller, Heavy Duty Shock Absorbers, Transfer Case Skid Plate Shield. 3.73 Axle Ratio, Anti-Spin Differential Rear Axle, Class IV Receiver Hitch, 7 Pin Wiring Harness, Trailer Tow with 4-Pin Connector Wiring, Wild Country LT275/70R18 Tires, 18 inch Chrome Clad Steel Wheels. For more information give us a Call at 918-371-8888 or send us a Text Message at 918-302-1417. 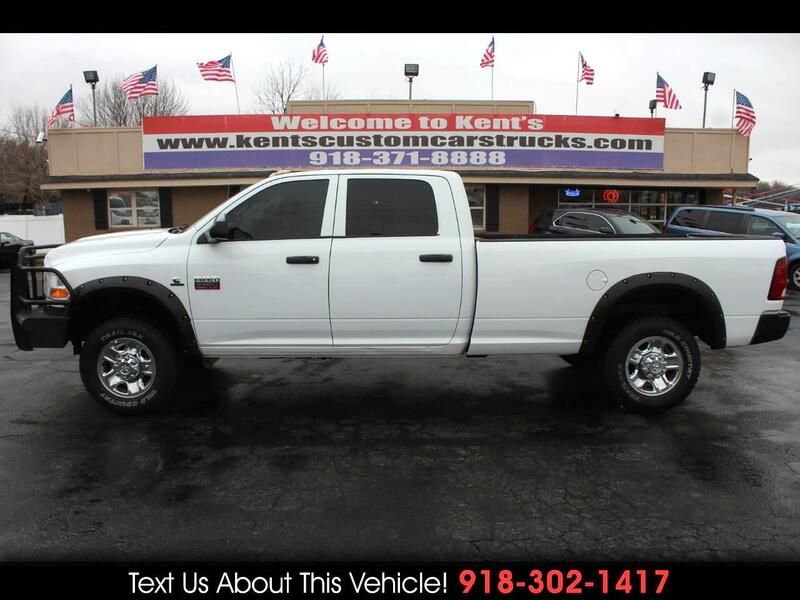 Message: Thought you might be interested in this 2012 Ram Truck Ram 2500.